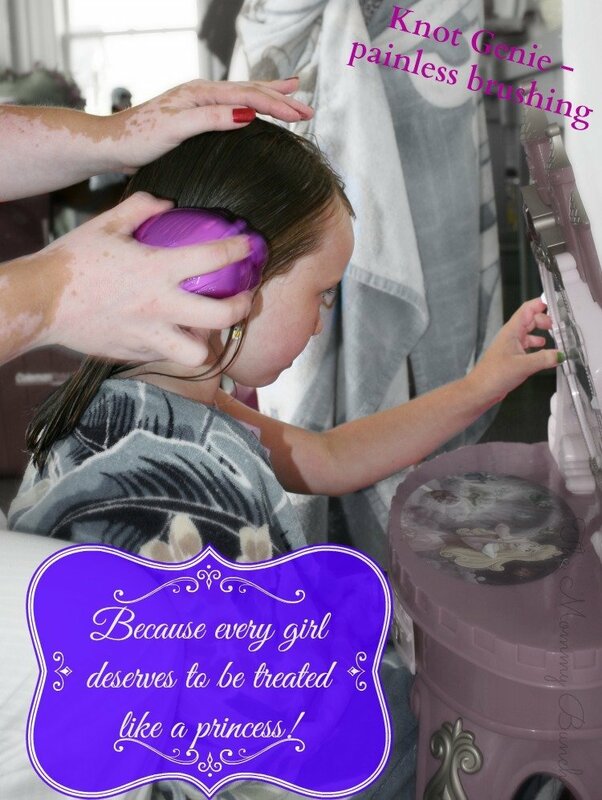 Because every girl deserves to be treated like a princess! 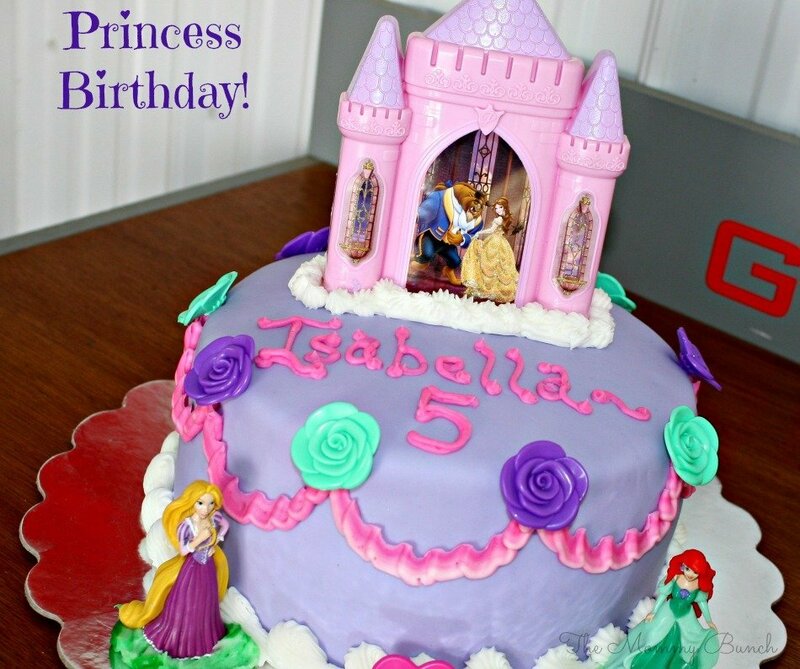 It’s not every day you turn five — I mean really it only happens once so we better celebrate! Birthdays are a big deal around our house anyway and we love to throw a good party. 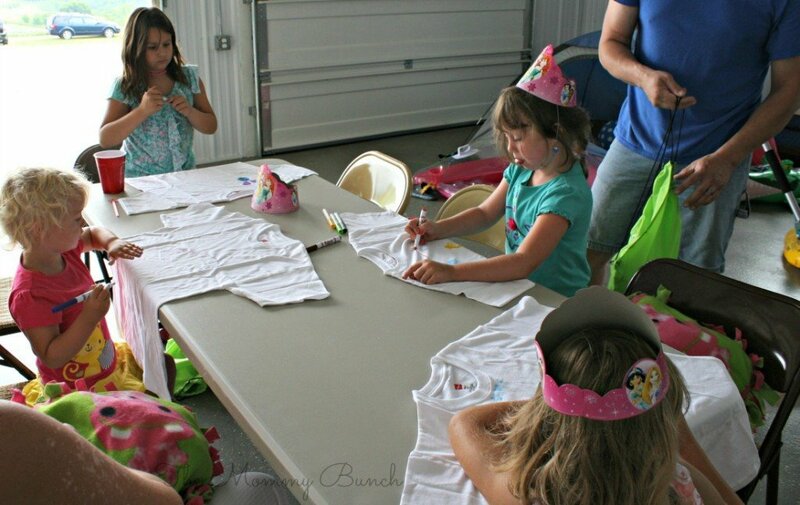 For my daughter’s fifth birthday she requested a princess theme and a pool party. A princess pool party, why not?! Planning a party is just part of the fun for me. I love to shop for gifts for the guests, plan games, and pick out a fun cake design. This year since I knew we were going to be swimming I picked up a few party favors that were swimming themed, like goggles for each of the kids. But one thing kept coming to my mind as I was planning everything — I couldn’t help but think of all these 5 yr old girls and all that hair! I knew once they got out of the pool it was going to be a big tangly mess! Gift bags are da bomb! 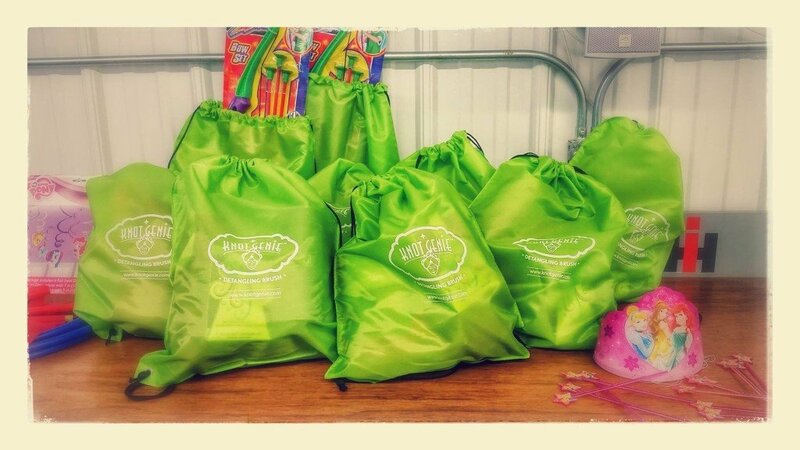 When the guests arrived they each found a spot at the table where I had placed the gift bags full of little goodies. We played games, did crafts, and of course checked out our bags. 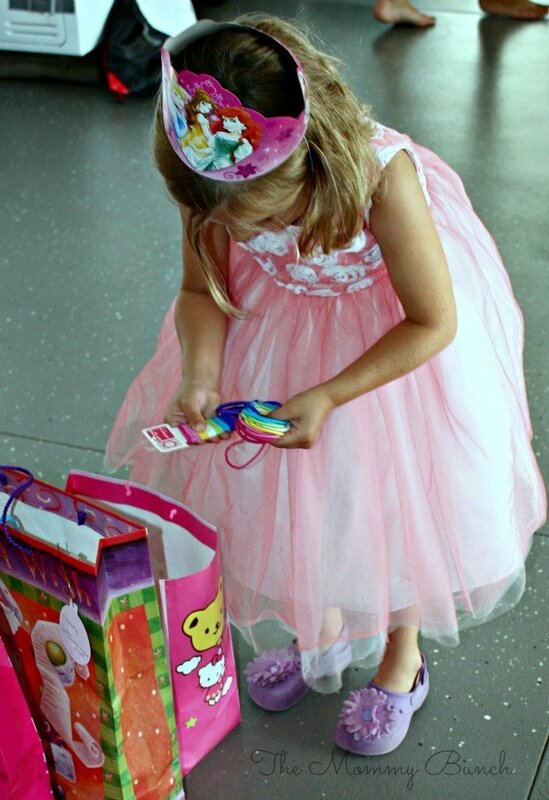 After everyone got their gift bags, my daughter got to open her presents. 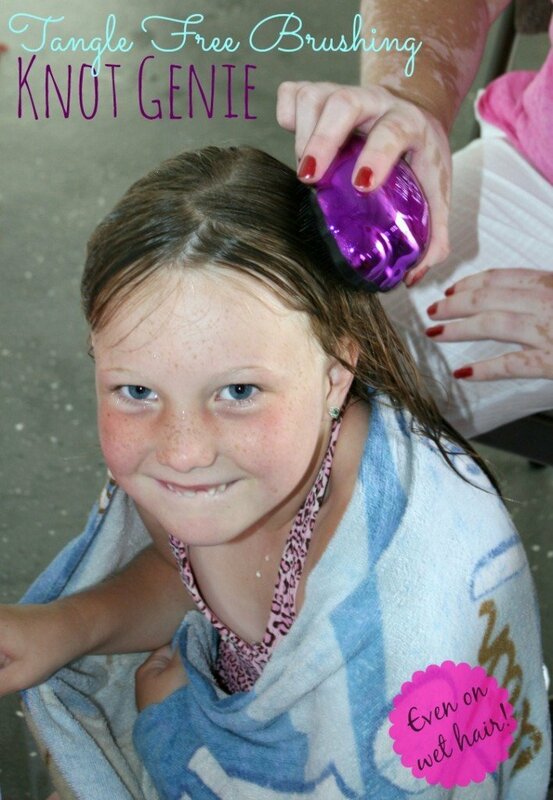 What princess pool party would be complete without items to use for getting your hair all done up after swimming?! 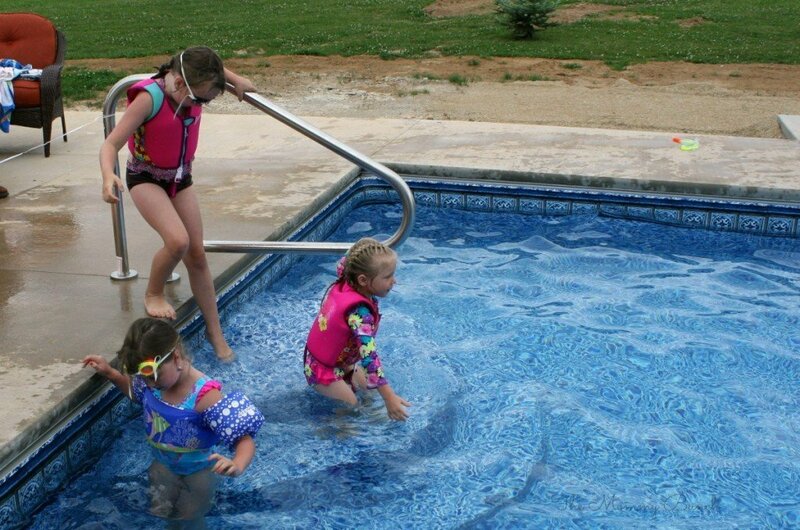 Everyone was super excited to head out to the pool, but got a little timid until testing the water out a bit. Soon enough the party was off to a splashing good time, and a few even braved the slide! 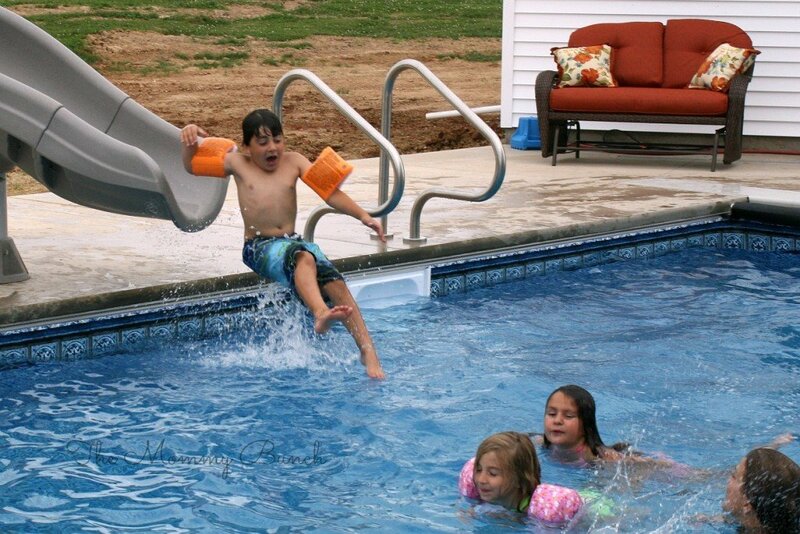 Of course my son loves the slide so he had to take a turn too. After we had our fill of swimming everyone headed inside to dry off. The girls took turns at the ‘beauty salon’ getting their hair done using the Knot Genie detangling brush. It was so much fun getting everyone all gussied up, and not one peep was heard about it hurting to brush wet hair. That is what is so special about this brush, it works really well at getting out the tangles painlessly. My daughter has no qualms about letting you know when it hurts to brush her hair. Normally she even hates letting me put in a pony tail, but today there were no complaints and she let us pull her hair back to tie it up. We used a bit of the hair chalk that she received as a birthday gift, and wallah! Wet, messy, swimming hair becomes a beautifully tangle free little up-do. 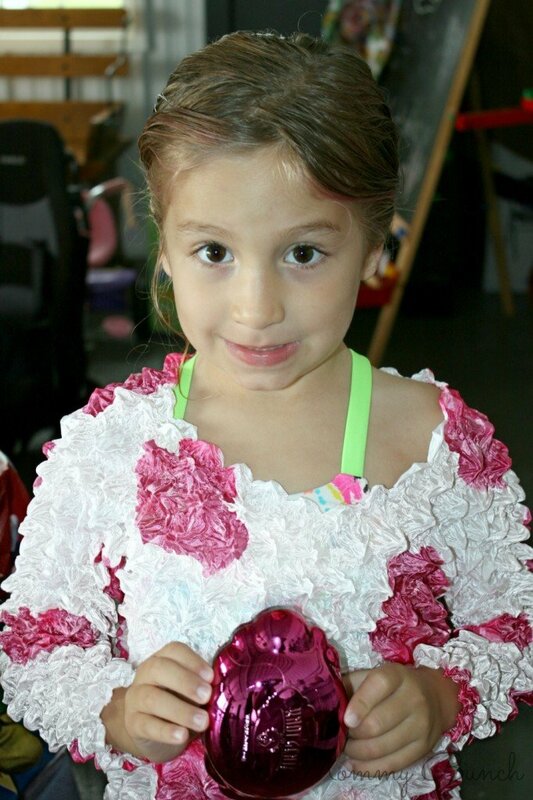 She just loves her new Knot Genie in this pretty pink color — her old one was purple but this one is shiny! 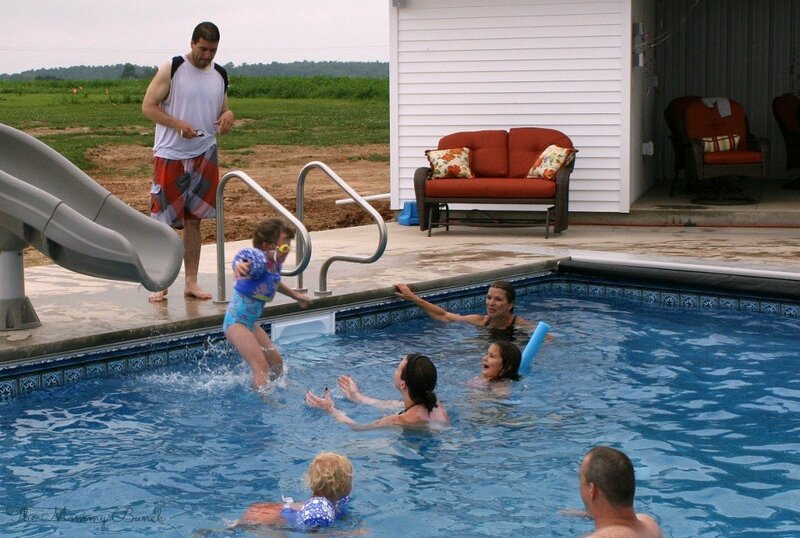 Although we don’t have a party every day, it is pretty nice that we get to use Grandma’s pool quite often. It sure is nice having a brush that can handle the tough tangles, and I love that it is even gentle enough to use on baby’s hair. 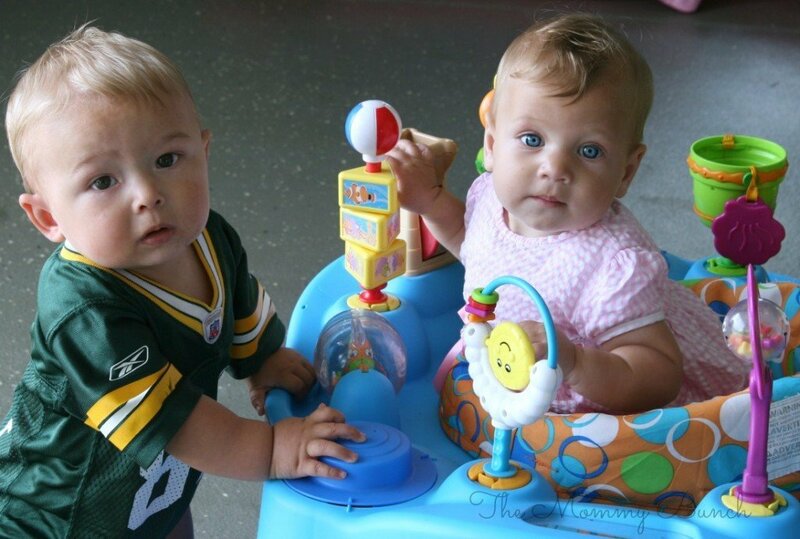 Just look at these two party animals – you wouldn’t use just any old brush on these precious heads! As the day wound down, everyone was a little sad to say their good-byes. We definitely don’t get together often enough, and birthdays only come around every few months for the kids. 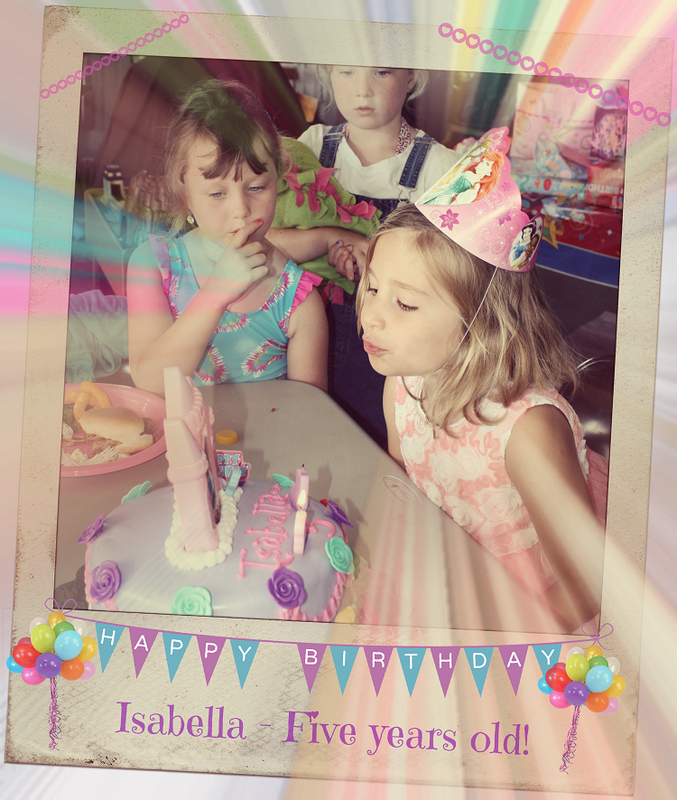 We loved hosting everyone to help us celebrate Isabella’s 5th birthday — she had a great time and I’m pretty sure everyone else did too! 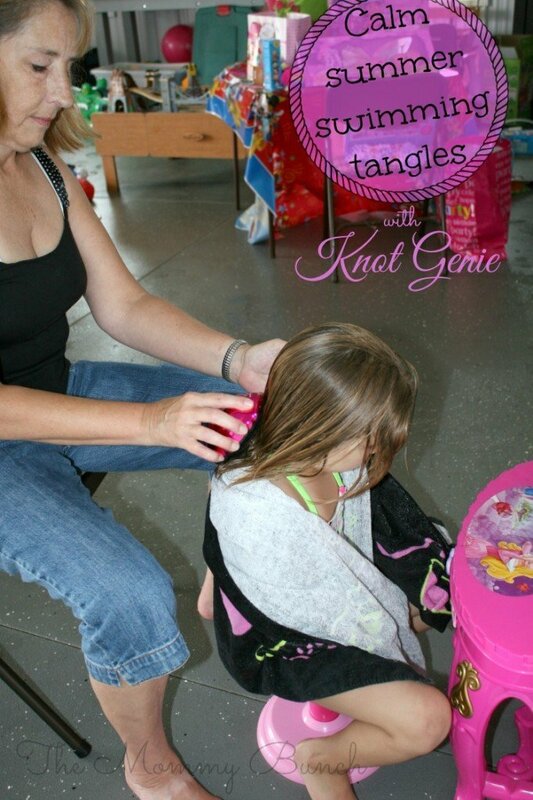 Have you ever used a Knot Genie detangling brush? 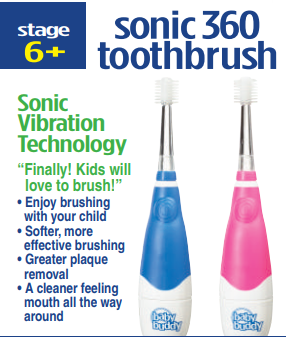 How bad do you need one of these for your kids right now? 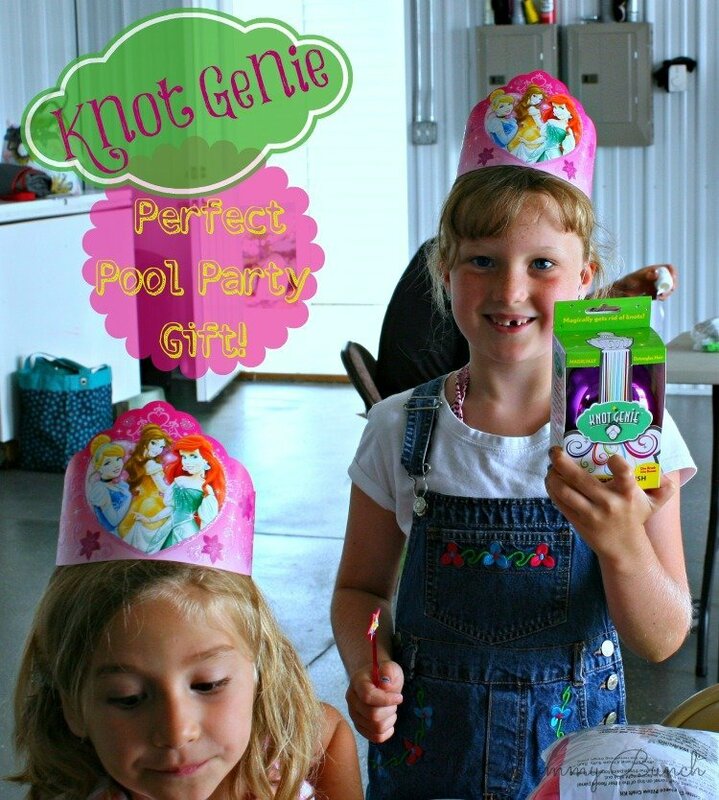 Thank you to Knot Genie for providing the gift packs for this event. 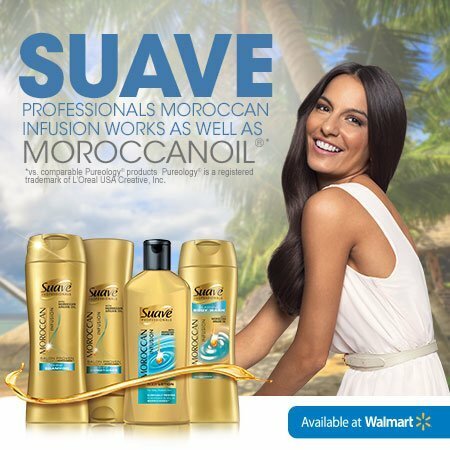 All opinions are my own, and I’m happy to share them with you, especially since I really like this product! PreviousWho has traveled to the Galaxy!? NextTrivia: Who have we found “In (to) The Woods”?